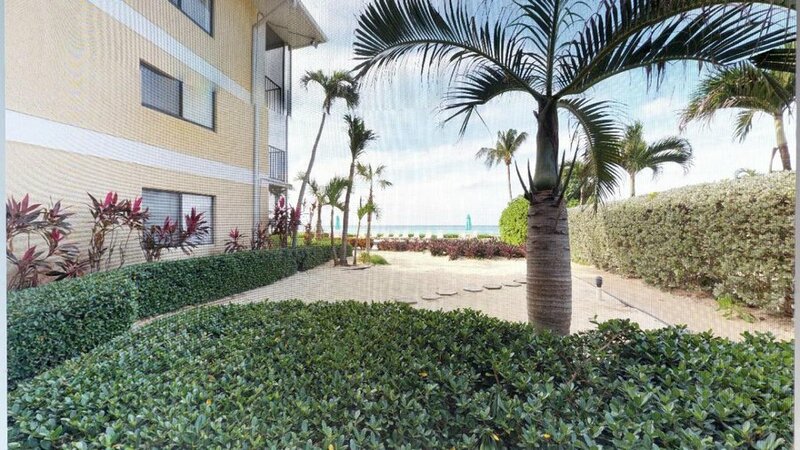 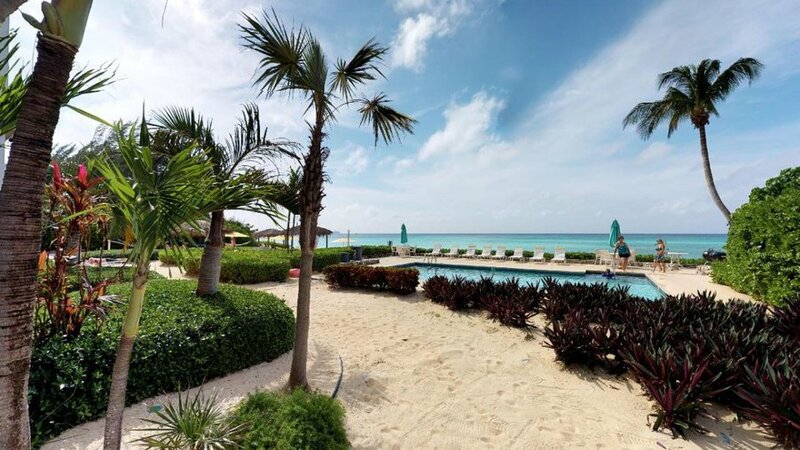 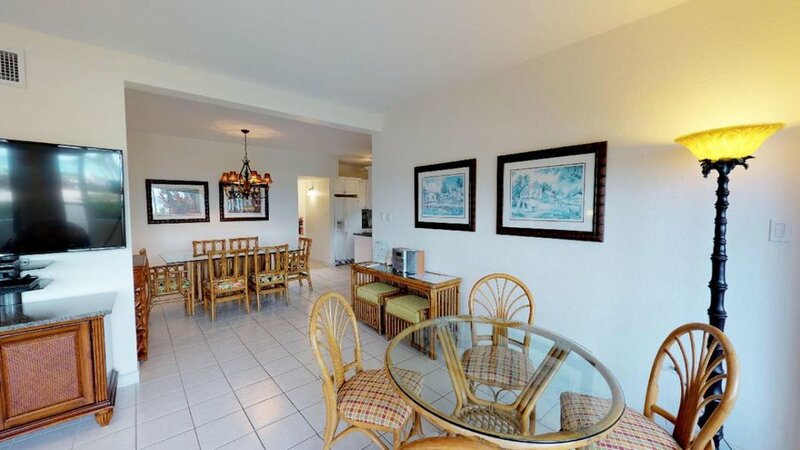 #5- First Floor Ocean Front – 2 bedrooms, 2 baths and den/optional 3rd bedroom. 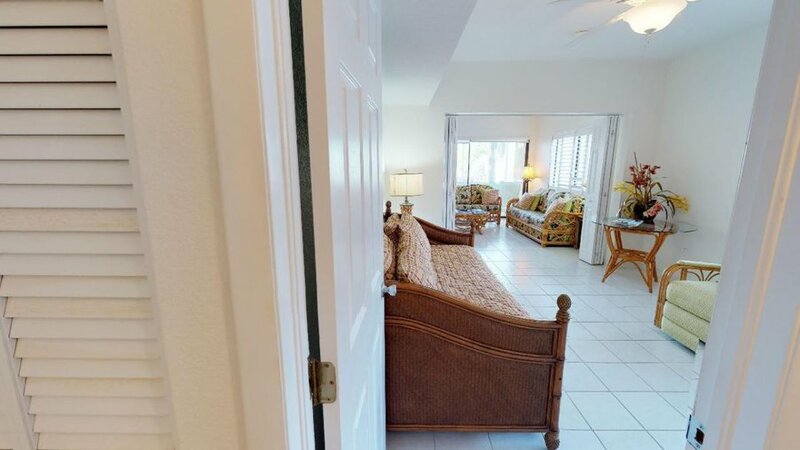 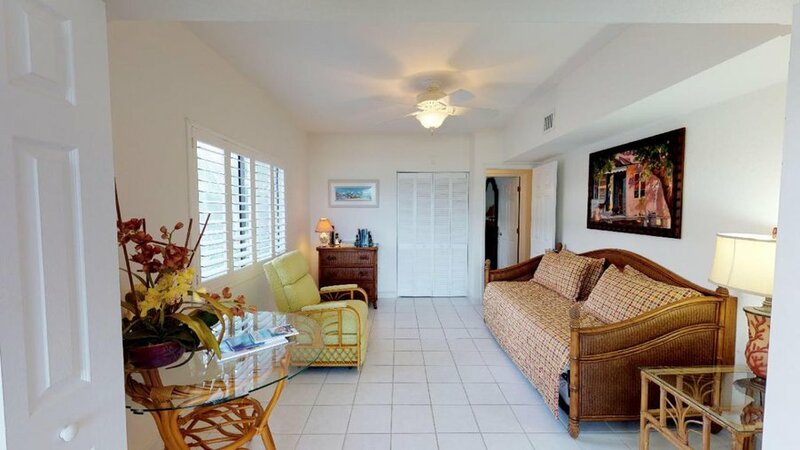 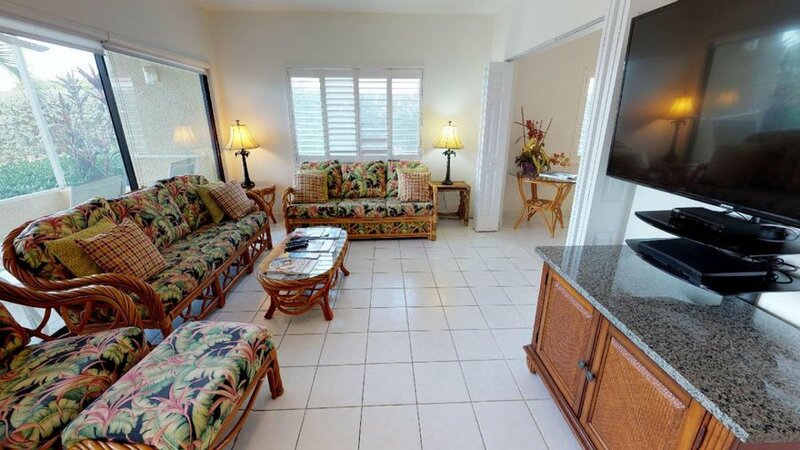 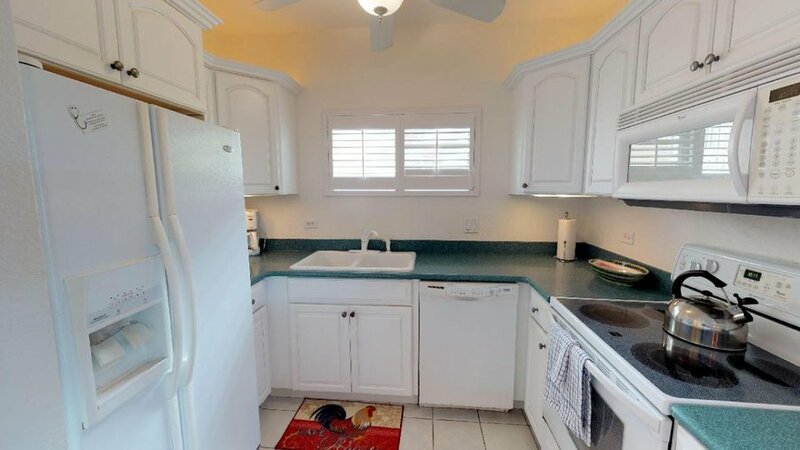 This first floor Ocean Front condo is designed with a living room, dining room, and fully equipped kitchen. 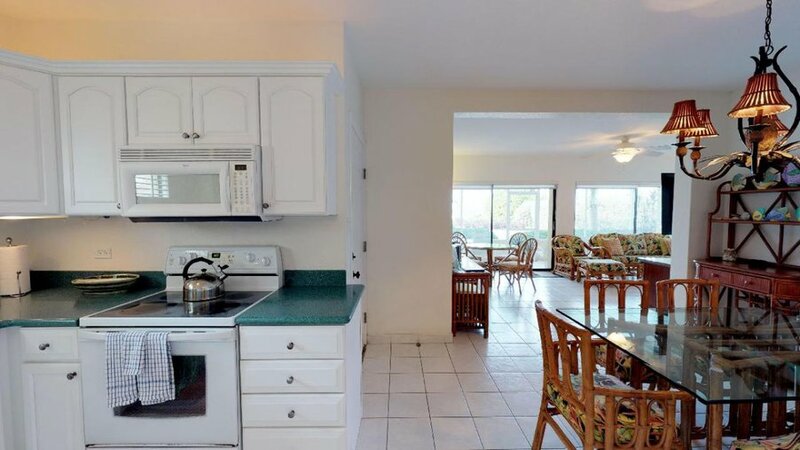 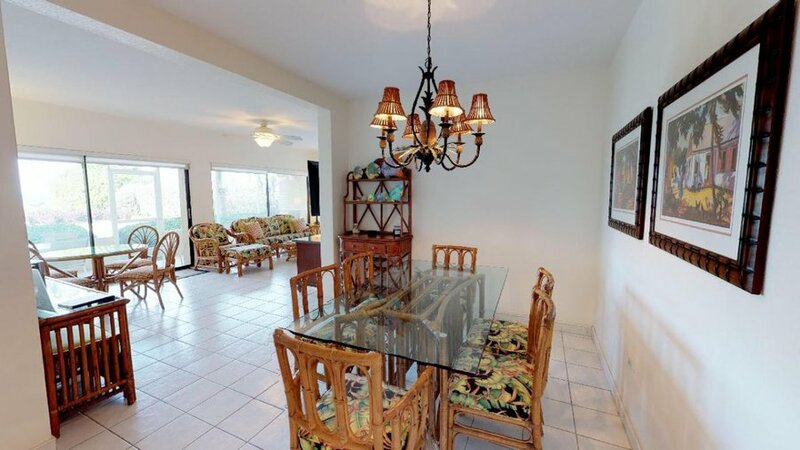 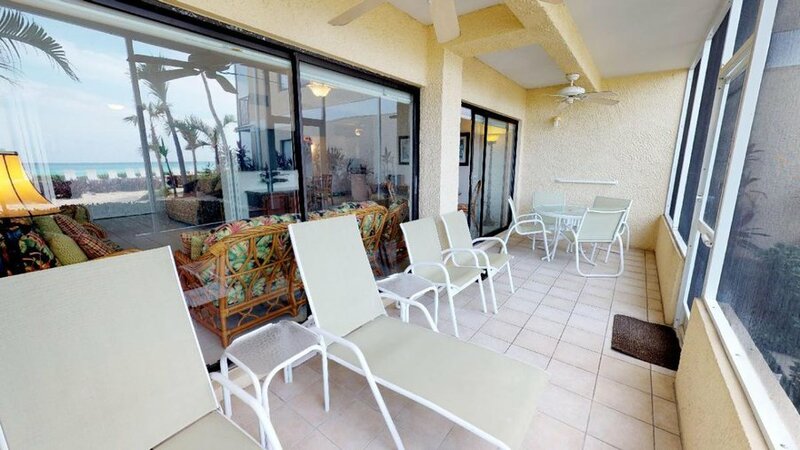 The condo has central a/c; ceiling fans are in all rooms, including the screened patio. 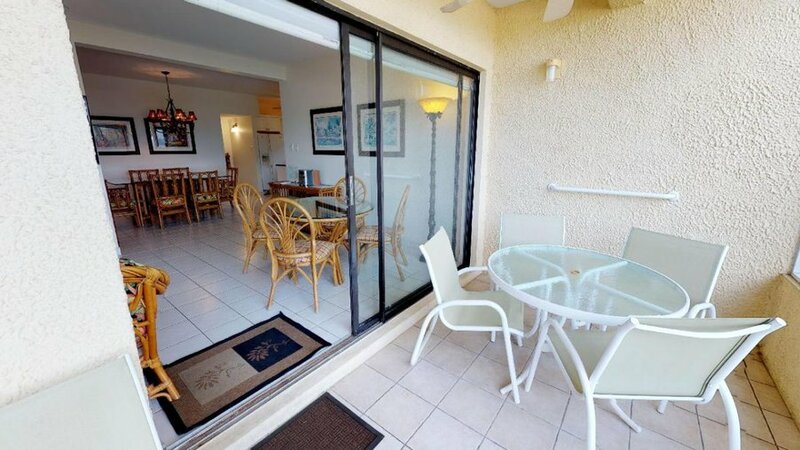 The living room and dining room view the pool and sea. 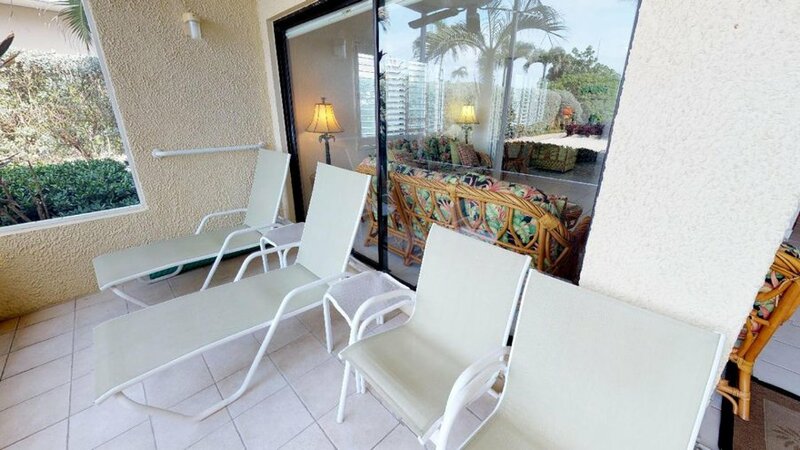 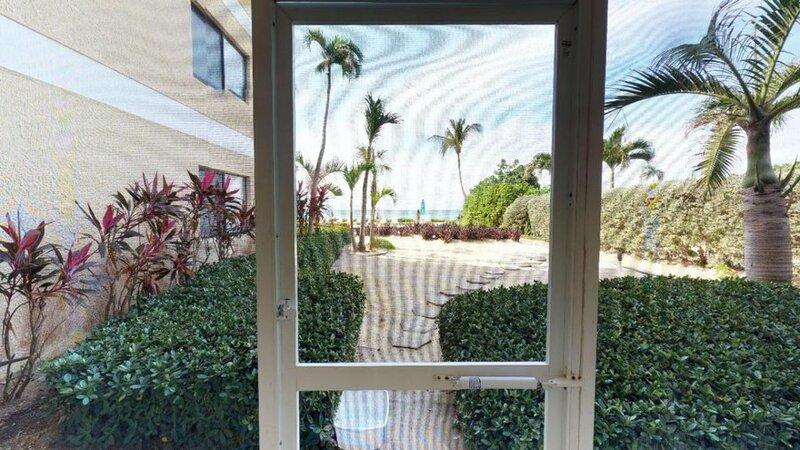 The screened patio opens to the white sandy beach. 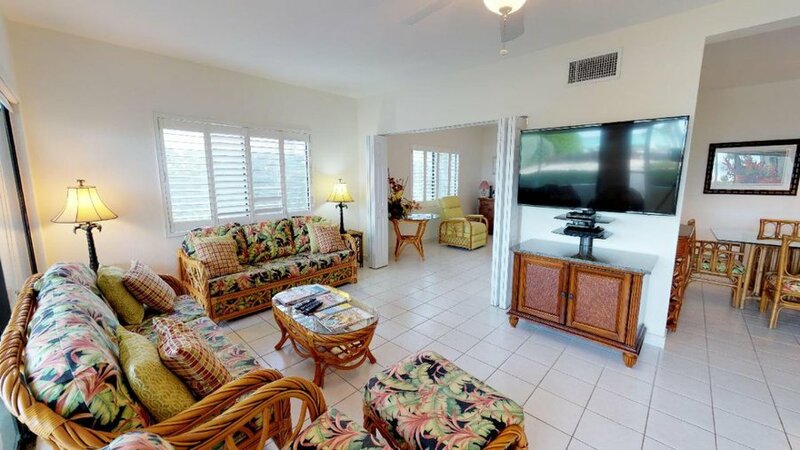 The living room and master bedroom are both furnished with large flat screen TVs. 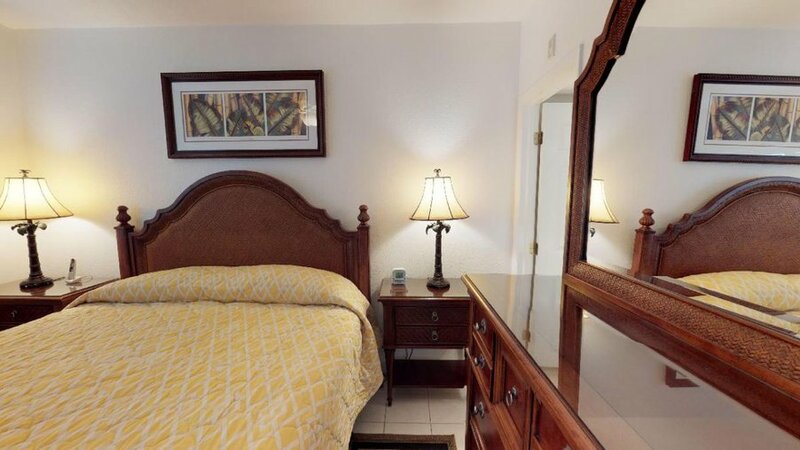 The master bedroom is furnished with a king size bed. 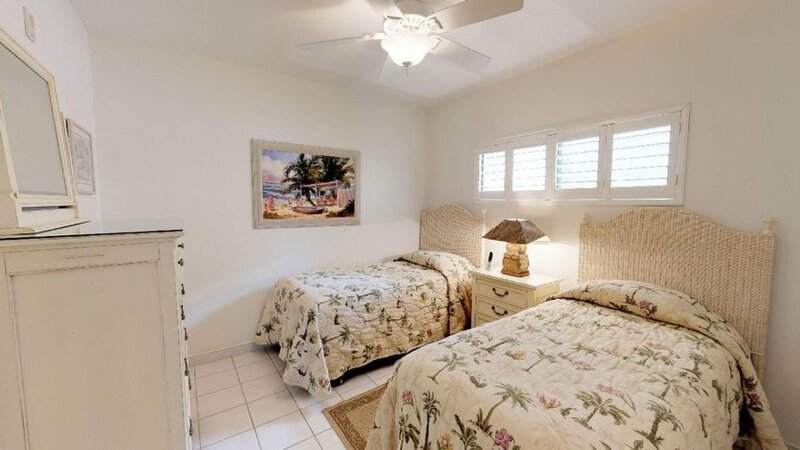 The second bedroom has a twin bed set. 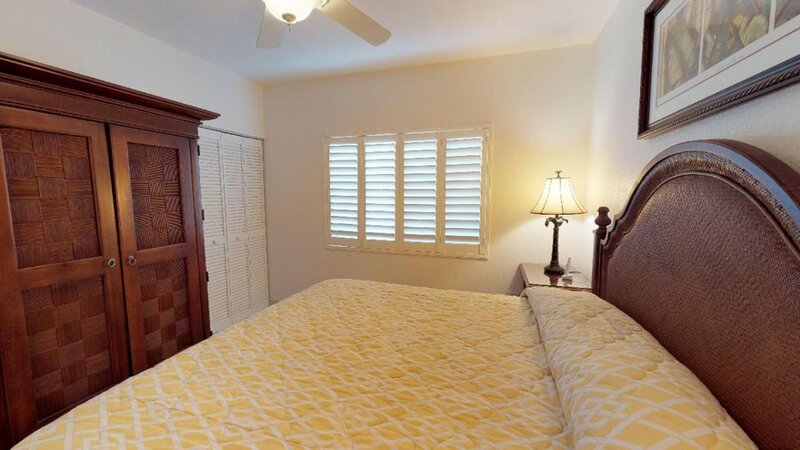 The den has a daybed with trundle. 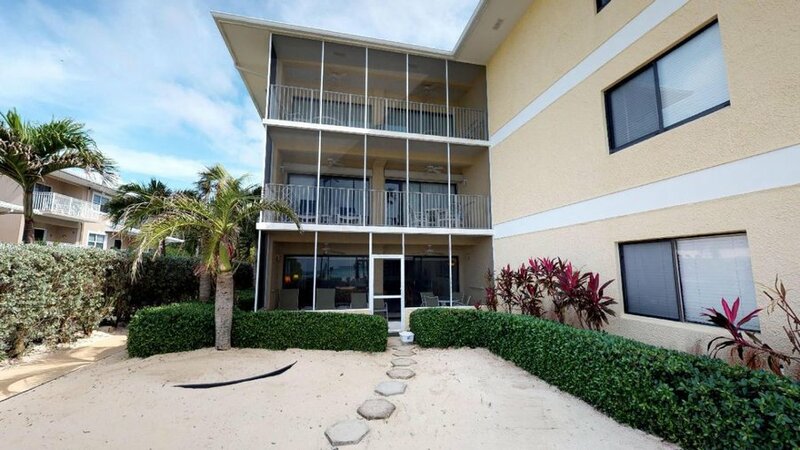 This condo sleeps 6 people comfortably. 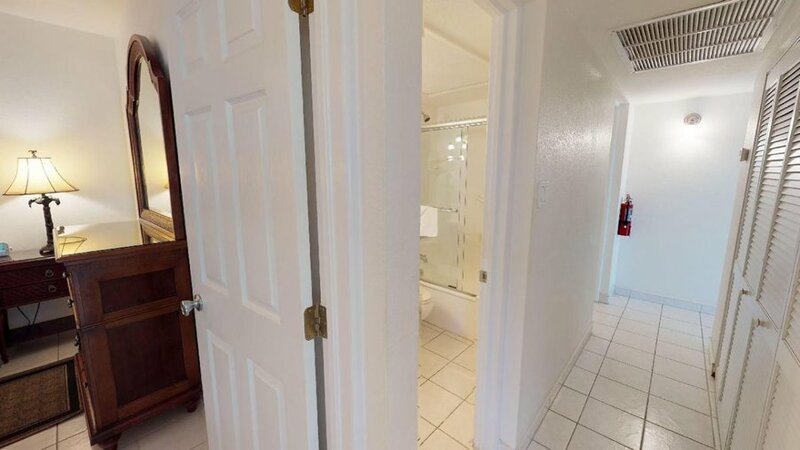 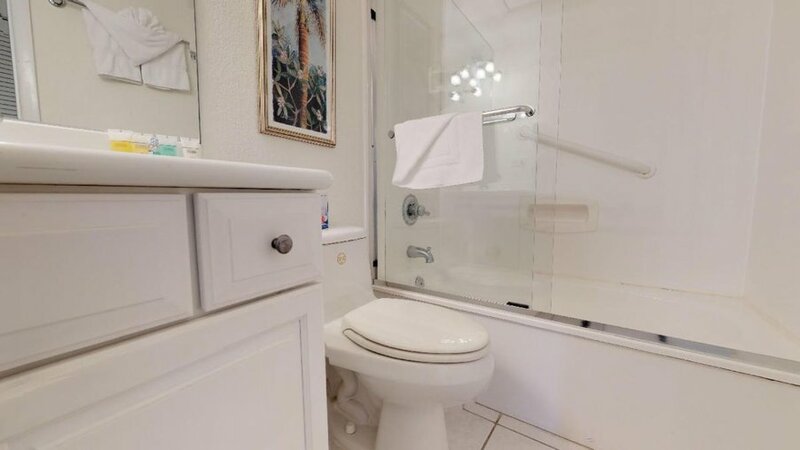 The master bathroom has a double walk-in shower and the hallway bathroom has a tub with shower. 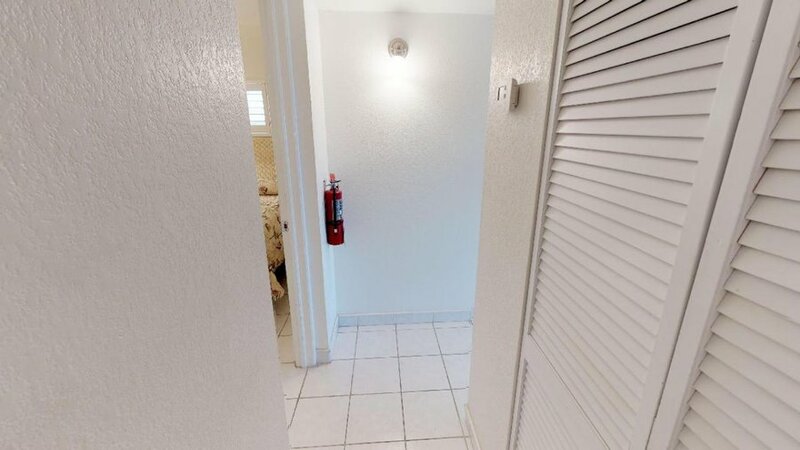 This condo comes equipped with its own washer and dryer. 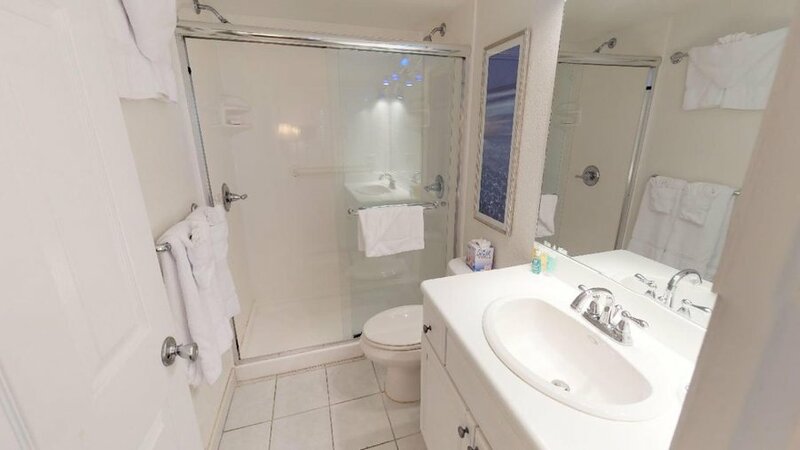 Maid service provided daily except Sunday and some public holidays.